(Jeff Maples – Reformation Charlotte) There really is no argument that the Southern Baptist Convention (SBC) is rapidly declining into a vapid morsel of what used to be a powerful voice of biblical truth. Succumbing to anything from social justice to charismaticism, the SBC is a world leader in ecumenism with its leaders partnering with just about anyone to achieve its notoriety as a moral progressive voice in the culture. 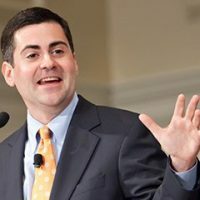 Arguably the most influential leader in the SBC, Russell Moore, has single-handedly transitioned the denomination from its conservative roots to an outspoken, culturally-engaged fleet of social justice warriors. While some of the cultural war waged with the Southern Baptist Convention at the front lines are noble and just–such as the war on abortion–much of it has taken a sharp turn toward liberalism while mission drift has overcome the churches and entities within. Examples include Russell Moore visiting the Vatican in 2014 to speak at a conference promoting traditional marriage and family life. Sounds good, but biblically speaking, Christians have nothing in common with the Catholic Church.